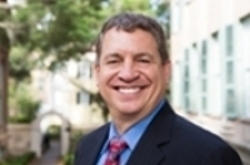 Henry A. Futch, Jr. “Hank” graduated from the College of Charleston in 1988 with a Bachelor of Arts degree in Philosophy. While at CofC he was a member of the Kappa Alpha Order. He is a founding member of the bands The Futch Brothers, Blue Dogs and The Occasional Milkshake. He is also a Certified Commercial Investment Member and has been a commercial real estate broker for 13 years serving several development and brokerage companies. He is currently Broker in Charge of Hank Futch Real Estate, LLC and KEY Investment Advisors of South Carolina, LLC. Hank resides in Rock Hill, SC and represents the 5th Congressional District of SC on the Board of Trustees at the College of Charleston. He is married to his wife, Nolie, and they have two children, Spencer and Henry.